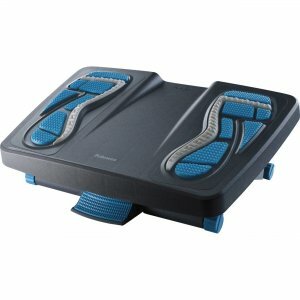 Footrest is enhanced with an invigorating massage surface with multiple textures that target pressure points. Energizer Foot Support also elevates feet and legs to help relieve lower back pressure. Free-floating rocking motion helps improve circulation. Three platform height settings include 4", 5-1/4" and 6-1/2". The foot support also offers up to a 25-degree tilt.